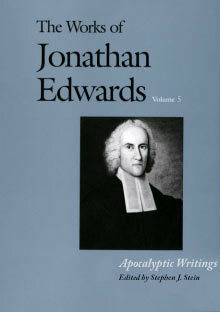 This edition presents the first text of Jonathan Edwards’ private commentary on the book of Revelation. Written over a period of thirty-five years, Edwards’ notebook reveals his lifelong fascination with apocalyptic speculation (including its bizarre aspects) and his persistent conviction concerning the usefulness of the visions in the life of the Christian church. In this volume is also published the first complete edition (since the eighteenth century) of the Humble Attempt (1748)—the call for united prayer that was Edwards’ response to the decline in religious fervor after the Great Awakening. In his Introduction and commentary, Stephen J. Stein examines the development of Edwards’ apocalyptic interests in the light of the situation in the eighteenth century, showing also how Edwards’ private judgments on the book of Revelation affected his personal and theological activity. Together the texts and the Introduction illuminate a hitherto inadequately explored facet of Edwards’ religious thought. With this volume, the Yale edition of the Works of Jonathan Edwards inaugurates the publication of Edwards’ major manuscripts. Here, and in subsequent volumes, the massive body of Edwards’ manuscripts materials (including letter, sermons, and Miscellanies) will be made available for the first time. Stephen J. Stein is associate professor of religious studies at Indiana University.